Human resources management (HR) is the cornerstone of a healthy, prosperous business. Lynda Goncalves and her Sussex HR team provide practical, friendly and flexible HR consultancy services designed to maximise the performance and profit of any organisation. Your people are your most valuable resource. When managed effectively, your company will benefit from increased productivity, better performance levels, and ultimately increased profitability. A comprehensive HR strategy, which supports and enables your employees and management team, will provide the right platform for success. Sussex HR’s consultancy services are built around the unique needs of your business. 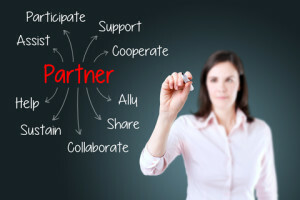 Whether through ongoing services or individual projects, Sussex HR works with you as a partner in your company’s growth. Spending too much time on your payroll admin? Bogged down by HMRC rules? Effective payroll management is essential and outsourcing it makes sense. Read more about Sussex HR’s payroll services and how it can help you. As an employer, you have legal responsibilities to fulfil and you must also protect your business interests. Sussex HR’s professionals offer advice and guidance for one-off situations as well as an ongoing employee relations consultancy. Need help but don’t need a full-time HR professional? That’s where Sussex HR’s flexible consultancy comes in. From recruitment and selection to employment contracts and strategies – find out more about stress-free HR management.